Parish Entertainment Group, which owns The New Parish in Oakland and Brick & Mortar Music Hall in San Francisco, has confirmed that it purchased the former Leo's Pro Audio building, at 5447 Telegraph Avenue, to open a new bar, music venue, and boutique. Co-owner Jason Perkins said the venue — which will be called Leo's in honor of the recording equipment store that closed its doors in 2012 after 56 years in business — could open as early as October, if the permitting process goes smoothly. The former Leo's Pro Audio building is being turned into a music venue and bar. "We find that working with the City of Oakland is easier than SF. People are willing to spend time with you," Perkins said. Earlier this year, co-owner Michael O'Connor revealed that the partners were searching for an Oakland space closer in size to its 250-capacity venue, Brick & Mortar, to book local acts. Perkins could not confirm what the capacity of Leo's will be, but said that the building is a large enough space to operate a bar separate from the music venue, as well as an off-shoot of O'Connor's San Francisco clothing store Density. "We really want to have a bar open in Oakland all the time," Perkins said. The owners have had a very public battle with San Francisco's Entertainment Commission, which in May temporarily restricted Brick & Mortar's permit to operate at 80 decibels. The rock venue is now operating with its regular permit. "We’re really dedicated to working in Oakland," Perkins said. "That’s our focus for the rest of this year." 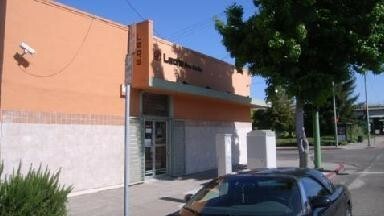 The North Temescal neighborhood was once home to iMusicast, an all-ages venue that closed in 2005 when the building was turned into lofts.